Britain's vote to leave the European Union has already come at a cost regardless of where Brexit goes from here. Some of the damage is tangible, such as jobs, investment and capital; some of it less so, like international clout and talent. The City of London has seen a steady outpouring of money and jobs as the world's biggest financial companies reorient their European footprints to protect business. Five of the largest banks looking to serve the continent are transferring $857bn of balance-sheet assets to Frankfurt, according to people familiar with the matter. They've had to move capital to get EU approval to continue providing services across the bloc. Exchanges handling daily transactions have also upped sticks or at least reproduced their London services on the continent. CME Group has moved its $228bn-a-day European market for short-term financing, the largest in the region, to Amsterdam. The pound has declined more than 10% against the euro since Britain voted to leave the EU in June 2016. Exporters may have benefited, but the increasing cost of imported goods and services boosted inflation. The effect is a drop in purchasing power for consumers, making life even more difficult for the nation’s beleaguered retailers. 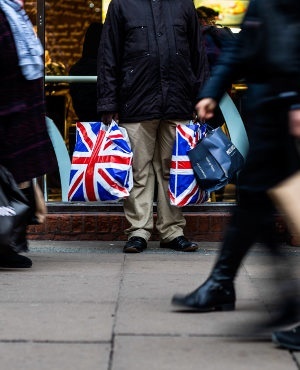 Businesses have also been deferring spending decisions as they ride out the uncertainty over what form Brexit will take. The Bank of England had forecast zero growth in investment for 2018. Officials have also warned it may not be possible to regain all the lost ground, with central bank policy maker Michael Saunders saying some of it might be a "permanent loss". Growth has also taken a hit. A UBS study in September 2017 suggested the referendum had already cost Britain more than 2% of economic output. The damage could be long-lasting, with the economy not predicted to return to its pre-referendum pace of growth until beyond 2020, according to forecasts compiled by Bloomberg. The departure of the European Medicines Agency to Amsterdam has wounded Britain's pharmaceutical industry. The agency had been in London for 22 years. That has hurt the hospitality industry, agriculture, construction and the National Health Service. They all face labour shortages and have traditionally relied on EU workers. Then there's higher education. Many are concerned about the impact on international student enrolment and cross-cultural exchanges and learning programs within the EU. Heriot-Watt University in Edinburgh in part blamed Brexit for job cuts in 2017, while Manchester University also cited the uncertainty surrounding Britain's departure when announcing the need to reduce costs. A flurry of international media companies has already moved broadcast licenses out of the UK, not waiting for any resolution to the Brexit impasse in Westminster. Discovery and Comcast's NBC Universal, which currently use UK permits to beam channels across Europe, are among them. Discovery is moving some staff and licences to Amsterdam while NBC Universal has filed applications in Germany. Even the venerable BBC, the UK's national broadcaster founded in the 1920s, is in talks with Irish and Dutch regulators about transferring some licenses into the EU for its commercial channels. Brexit uncertainty has hit the UK housing market. An index of prices by the Royal Institution of Chartered Surveyors slipped to its weakest level in six years at the end of 2018. There's been a particular slowdown in transactions in London, where the number of sales at the end of last year was at the lowest annualised level since RICS began compiling the data in 1994. Uncertainty about the pound and the economy have exacerbated a decline in sterling's role in global credit markets. Overseas non-financial companies only sold $9.2bn of notes last year, less than half the amount issued in 2017, according to data compiled by Bloomberg. Britain's status as European hub of choice has suffered a blow. Japanese electronics groups Sony Corp and Panasonic, insurer Chubb and money-exchange firm TransferWise are among the companies who have moved their EU headquarters or set up new subsidiaries.